Unipart Rail, a UK-based supplier of products and services to the global rail industry, has signed a partnership with Gear Rail, leaders in rail safety and control solutions in Africa. Bringing together the former’s expertise in modernising supply chains and the latter’s reach across the continent of Africa, the new collaboration will focus on reducing costs and risk and increasing performance wherever materials are moved to support the maintenance and development of railways. It will see the two businesses work on an exclusive schedule of products and services for the African market, with a particular emphasis on supply chain solutions and the digital conditional-based supply chain of the future. Unipart Rail’s ‘SmartServe’, a unique suite of services that provide the resources to plan, supply and manage the materials and tooling requirements including their delivery to the point of use, is an example of one such digital innovation. In a statement, Unipart Rail said the partnership’s launch “signals a revolution in Africa’s rail supply chain”. It builds on an existing four-year relationship between the two parties, which has seen Unipart Rail become a supplier to Gear Rail. 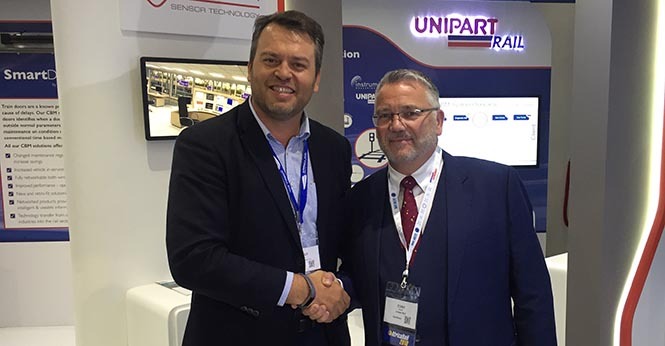 The partnership between Unipart Rail, which has offices in the UK, Australia, Middle East and Far East, and Gear Rail was signed during the Africa Rail exhibition in Johannesburg on June 13.